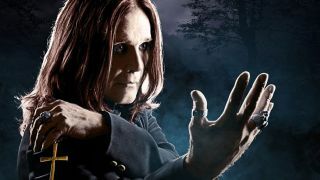 Ozzy Osbourne has been forced to postponed his entire 2019 touring schedule as he recovers from "an injury sustained while dealing with his recent bout of pneumonia." Ozzy previously cancelled the European leg on his No More Tours 2 shows, and later pulled the plug on performances in Australia, New Zealand and Japan as a result of being hospitalised. It's now been revealed that he recently fell at his Los Angeles home, aggravating an old injury from his 2003 ATV accident that required surgery. As a result all his 2019 shows have been pulled and the vocalist will “remain under doctor’s care in Los Angeles as he recovers” fully. Ozzy says: “I can’t believe I have to reschedule more tour dates. Words cannot express how frustrated, angry and depressed I am not to be able to tour right now. A full list of the rescheduled North American dates can be found below, while the new UK and European shows will be announced in the coming weeks.